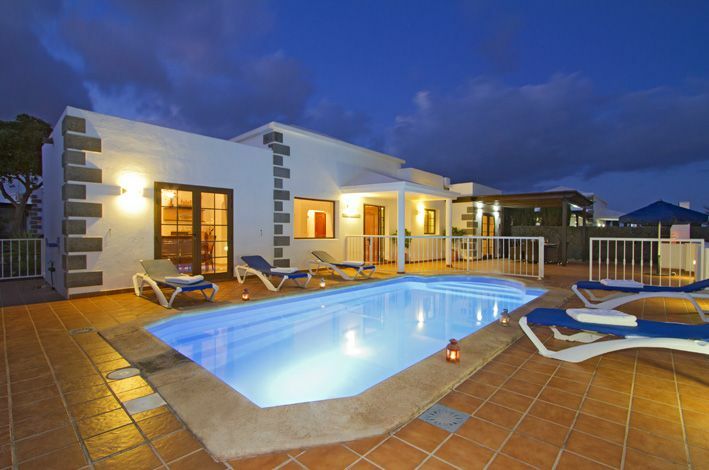 Villa Amandelen in Playa Blanca, Lanzarote is a beautiful detached, 4 bedroom villa which will serve 8 people in comfort and luxury. 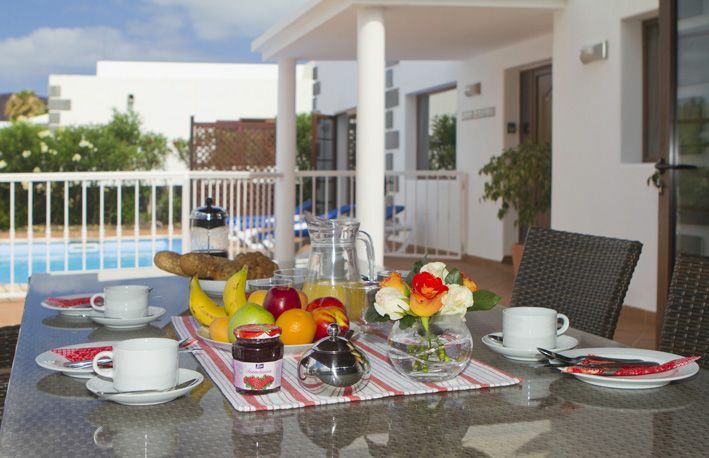 Set in the popular community of Parque del Rey, this villa will surely be a perfect base for your holiday in the glorious sunshine of Lanzarote. The gated drive has space for your holiday hire car should you decide to explore though the resort centre is within 20 min walking distance. You will certainly be impressed with the large pleasant lounge with leather sofas. 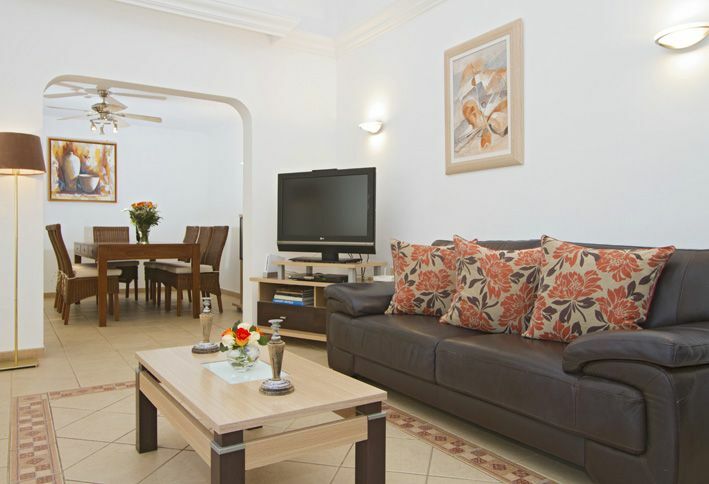 There is a flat screen TV with IPTV English channels and video on demand and a DVD player with films. We have complimentary WiFi so bring your own laptop, smart phone or tablet and get connected! There are also children's books and DVDs too. 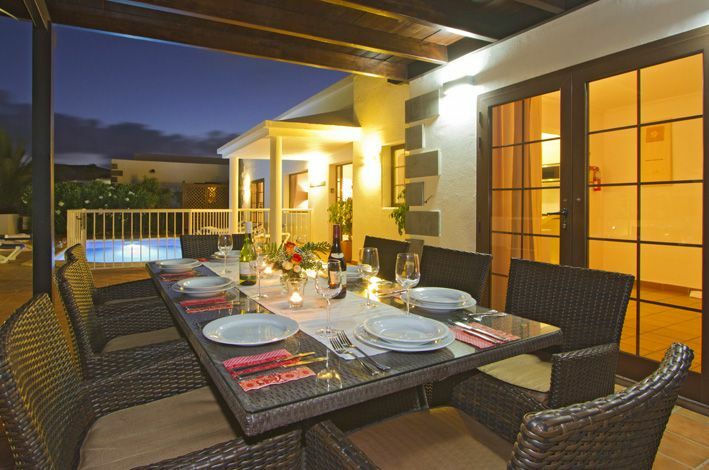 Off the lounge you will find the dining room with a patio door to the pool area and ample table room for 8. 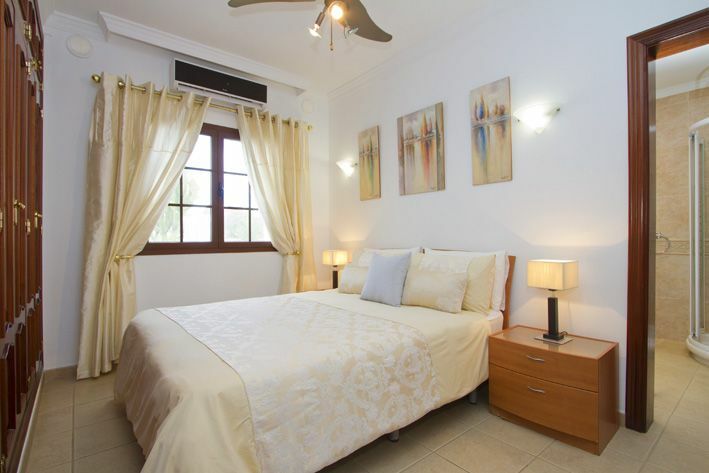 The master bedroom which has a dressing table, a security safe and a spacious ensuite bathroom which features a huge bath and corner shower. 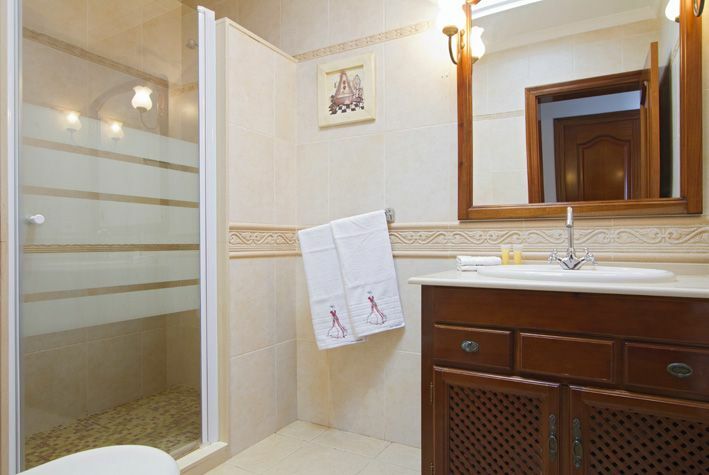 There is a further family bathroom with a double shower. 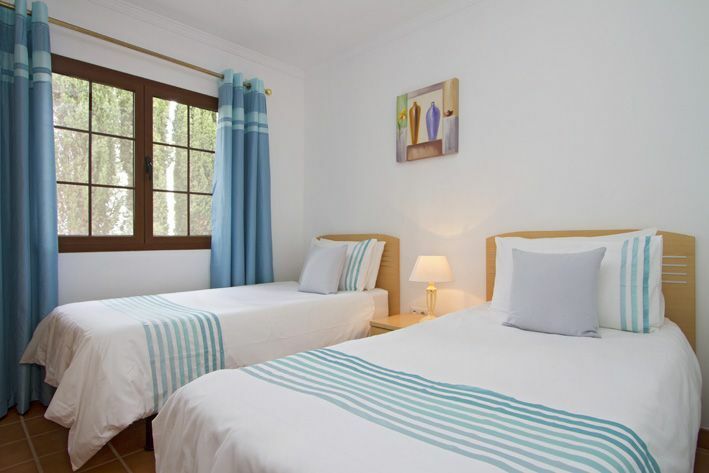 Two of the remaining 3 twin bedrooms have wall mounted flat screen televisions for playing DVD´s and or games. Great for some chill time to escape the sun in the day time. 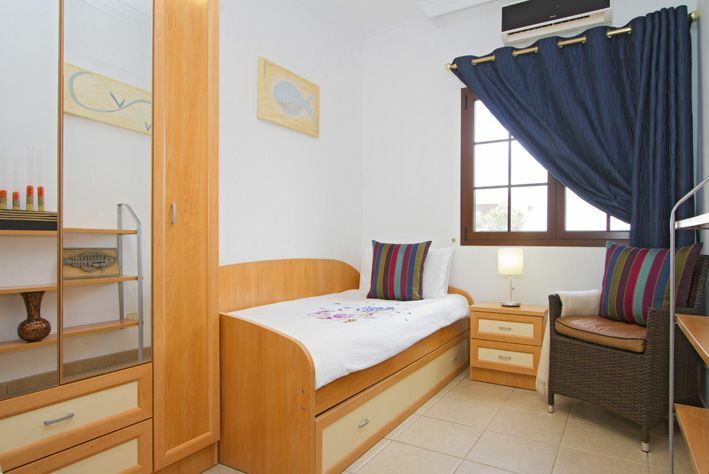 All of the bedrooms have ample fitted or free standing wardrobes, draw space, and aircon. 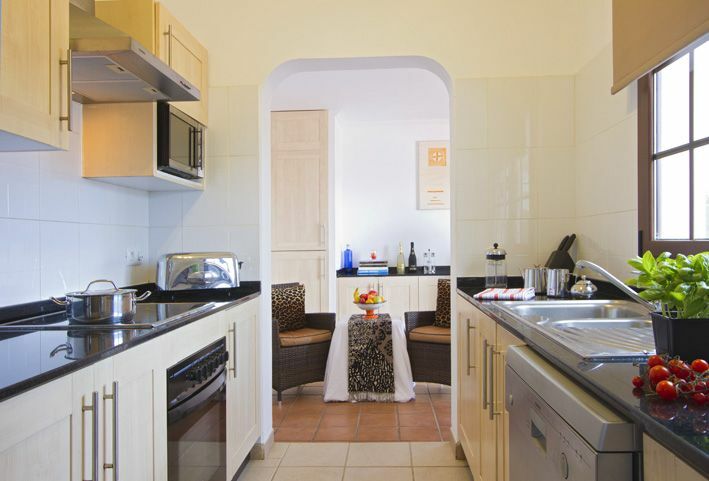 You can expect home from home comfort here at Villa Amandelen. The walled garden has tropical palms and an assortment of colourful Bougainvillea and Oleander. 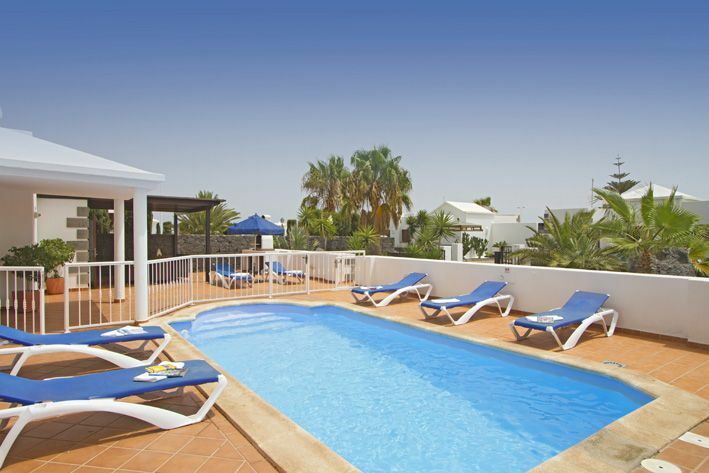 The electrically heated, covered swimming pool is just perfect, splash around, relax and float on a lilo or you can sunbath on the sunloungers. There is a brolly and shade for when it is a little too hot. An added advantage to the pool area is that it is securely fenced and gated. More shade is provided with a pergola with table and seating for 8. This outside dining area is bordered by a super brick build barbecue with workspace either side. 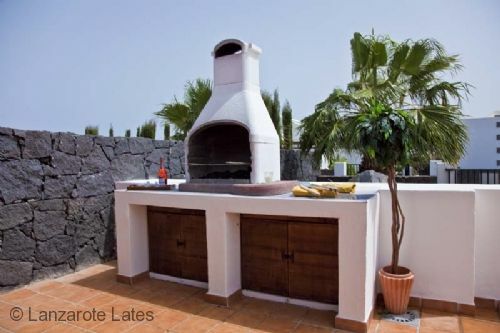 This area is south facing and deal for catching the early sun at breakfast, a lazy outdoor lunch, or barbecue evenings as the sun sets behind Montana Roja. 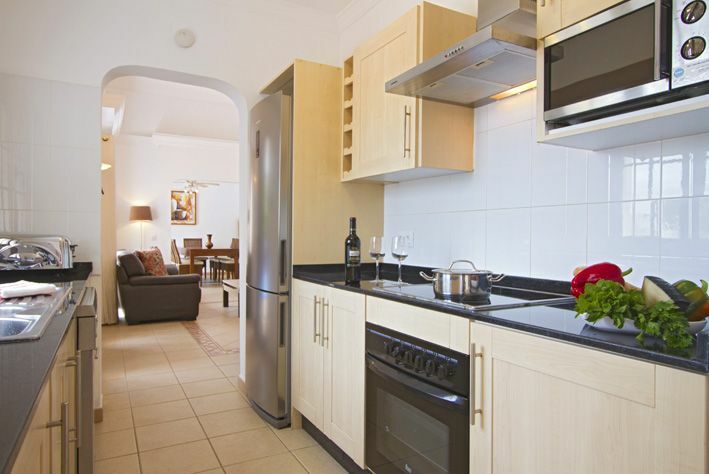 The kitchen is extremely well equipped for the holidaymaker who likes to have everything on hand to prepare and cook meals. 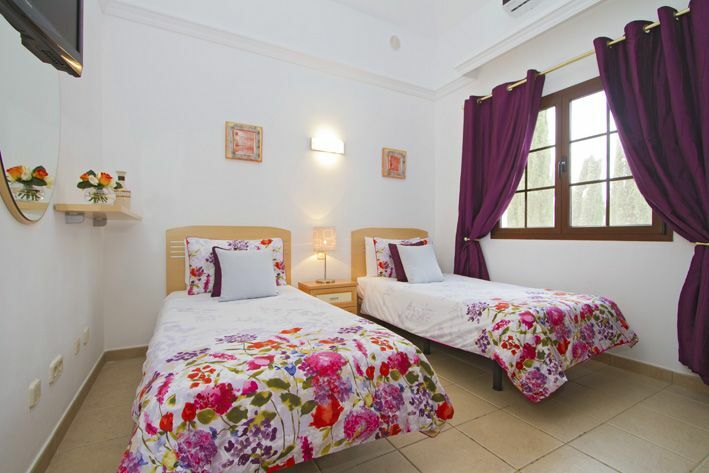 The villa is well equipped for families, couples or friends Holidays. PRICES ARE BASED ON 4 PEOPLE SHARING - PLEASE ENTER THE NUMBER OF GUESTS WHEN ENQUIRING FOR AN EXACT PRICE. Villa Amandelen is fabulous. 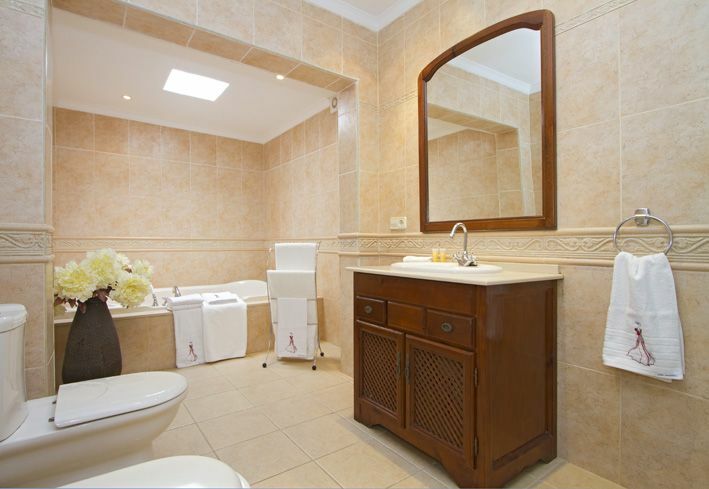 It is very clean and looks exactly like it did in all the pictures. We will definitely come back! It was everything that was advertised and MORE. Great welcome, presentation on arrival was amazing (very welcoming). Great area for a family holiday. 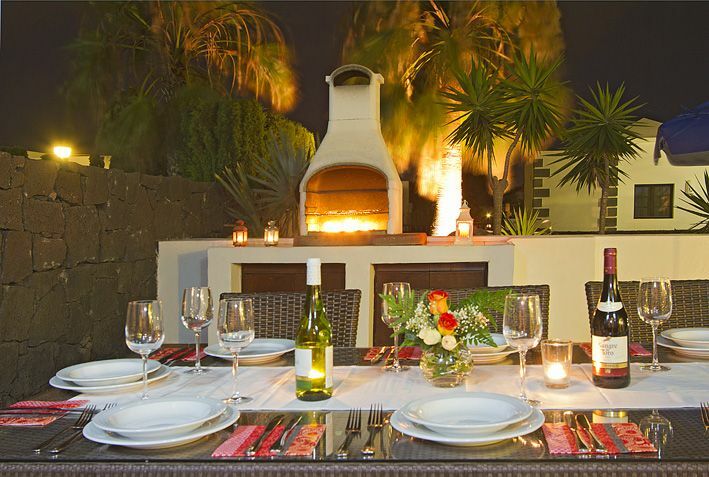 We would without a doubt highly recommend this villa. Fabulous!